New to Kodable? Get Started! Students first learn basic programming concepts, then make Kodable mazes, then share them with friends and family! Start by coding a "robot" together off screen, then learn about sequencing with the fuzzFamily! Choose your grade to begin. Women in Tech: Past, Present and Future! Men outnumber women 7 to 3 in the tech industry - for now. This 3-day project calls on all students to examine gender inequality in tech. Will the fuzzFamily land on Earth? Will they end up in Bugs Below? Use conditions to decide the path your story takes from start to end. Sequencing happens in code, reading and life! Learn about everyday connections and complete a reading or writing activity together! Choose your grade to begin. Math and programming skills combine to help Dominic's Pizza develop their new mobile ordering app! Common Core math and CSTA aligned. Work togeter to draft a pizza restaurant's mobile ordering app! Each day students collaborate to solve the challenge while practicing their math skills. If there is lightning, then thunder will follow! Students explore conditional statements in a hands-on science activity. Intro to Robotics with Dash the Robot! Have you met Dash and Dot? Learn about robot guts, programming and sequencing in your very first robotics lesson! Finished an Hour of Code? Enter your email address and we'll send it to you! 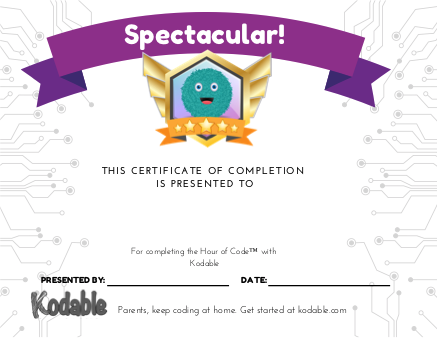 We’re sending your Hour of Code certificates! Due to high volume, they could take up to an hour to arrive in your inbox! Do you have certificates for my students? 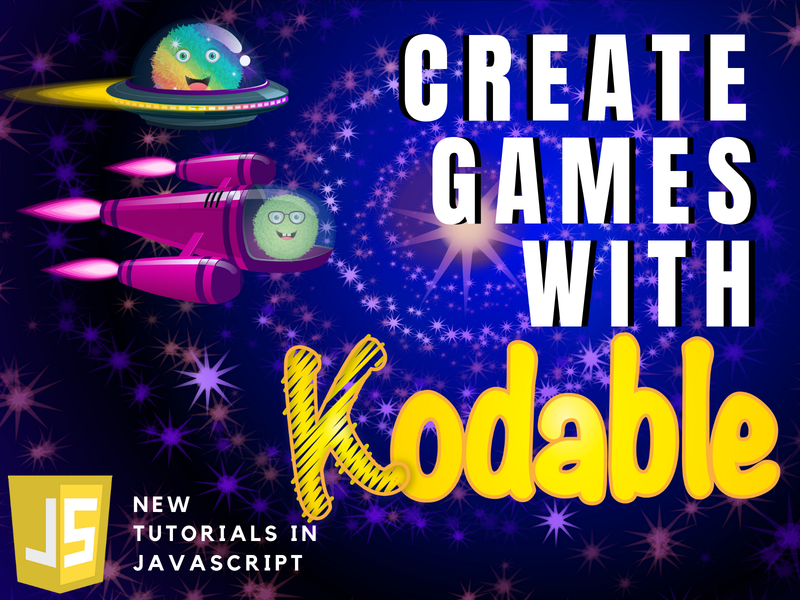 Do I need an account to complete the Hour of Code with Kodable? No, you can allow students to play without creating an account however having a teacher account will let you track their progress and continue after the Hour of Code is over. Didn't find what you're looking for? Check out our help center. Create a culture of learning with over 70 lessons written by elementary school teachers. Cover topics including robotics, math, social emotional learning, digital citizenship, ELA and more. Lesson plans written for beginner teachers. Videos explain new concepts before each unit. Students practice new skills after each lesson with fuzzy aliens in space. Stay on track with CS standards and weekly updates.